30 day On-screen summary in calendar-like summary. 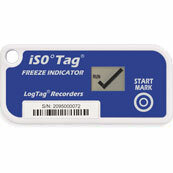 Up to 7,770 recordings – Enough memory for 53 days at 10min logging or 80 days at 15min logging. Industry best download time – less than 5 seconds for fully memory. 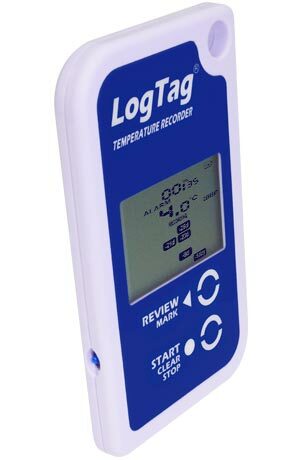 The LogTag® TRID30-7 temperature logger features a display together with a data logging function storing up to 7770 temperature readings. 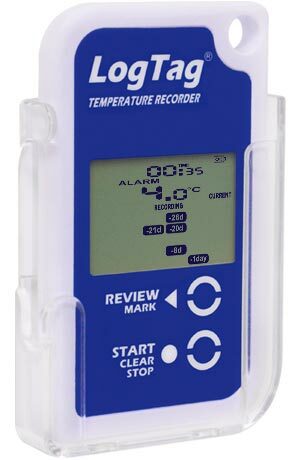 Statistical temperature and duration readings for up to 30 days can be reviewed on the display. 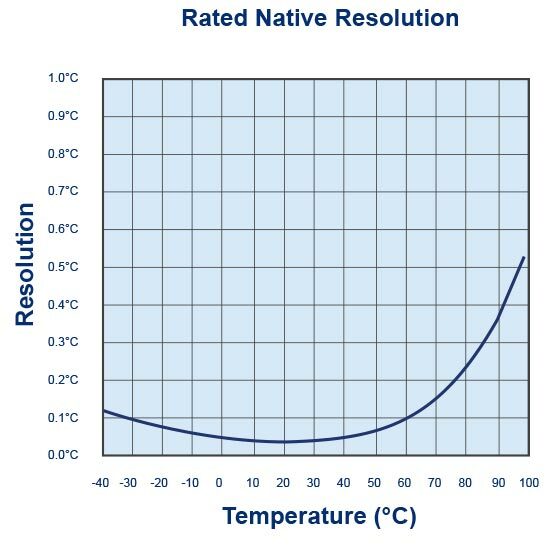 The visual display of current temperature and previous alarms is an important feature in “static” applications such as cool rooms and refrigerators. The TRID30-7 can also be used in transit applications where direct readout of the statistical data is required without use of a computer or readout device. The display arrangement is designed to show ‘at a glance’ if temperature violations have occurred during the current day and up to the previous 29 days. The display also shows the current temperature reading, the current time, recording status and battery status. 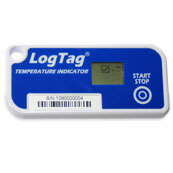 Details of any excursions can be checked directly by inspecting the statistics history on the loggers display or in more detail by downloading the logged data. If a reading outside the pre-set “Alarm” limits is recorded at any time, a “day alarm indicator” appears on the display. 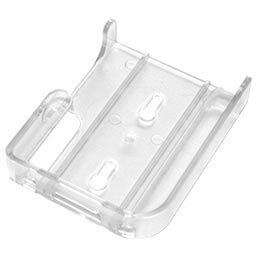 Product Model TRID30-7R (Replaceable Battery). 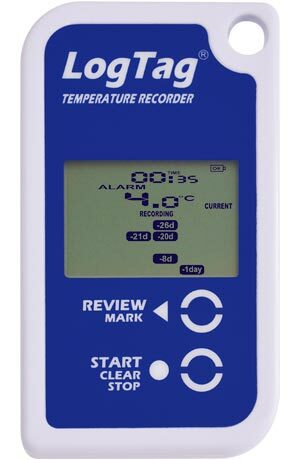 Sensor Measurement Range -30°C to +60°C (-40°F to +210°F). 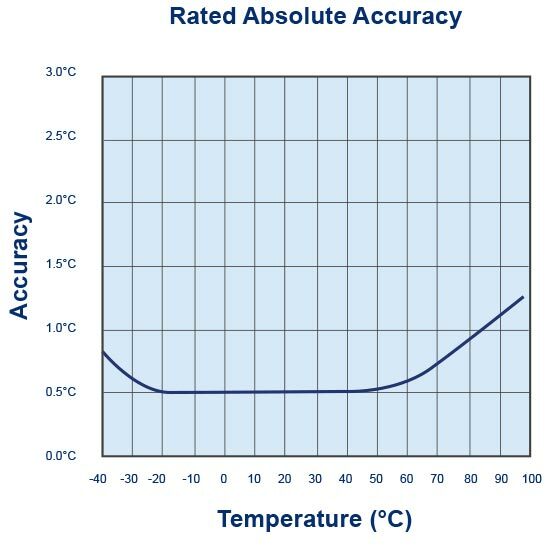 Rated Temperature Reading Accuracy Better than ±0.5°C (±0.9°F) for measurements from -20°C to +40°C (-4°F to +104°F), typically ±0.3°C (0.6°F). Better than ±0.8°C (±1.5°F) for other measurements – typically ±0.5°C (0.9°F). 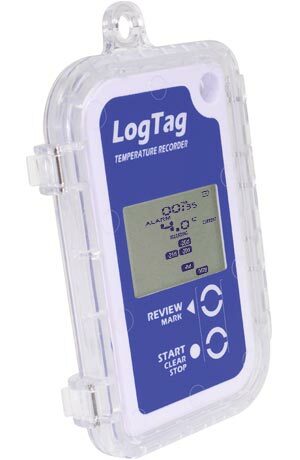 Rated Temperature Reading Resolution 0.1°C (0.2°F) for measurements -40°C to +50°C (-40°F to +122°F). 0.2°C (0.4°F) for measurements +50°C to +70°C (+122°F to +158°F). Sensor Reaction Time Typically less than 5 minutes (T90) in moving air (1m/s) in EN12830:1999. Recording Capacity 7,770 temperature readings. 53 days @ 10min logging, 80 days @ 15min logging. Sampling Interval Configurable from 1 minute to hourly. 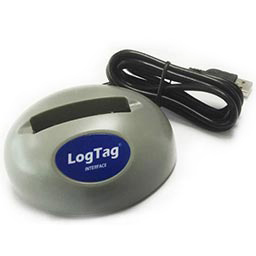 Logging Start Options Push button start (with configurable start delay from 1 minute to 18 hours) or specific date & time. Download Time Typically less than 5 seconds for full memory (7,770 readings), depending on computer or readout device used. 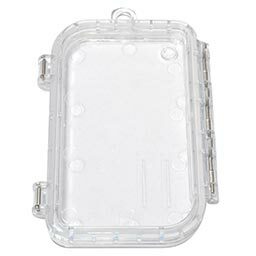 Battery Life TRID30-7R: Typically 1 year of operation. TRID30-7F: Typically 2+ years of operation.